I'm often asked for a red tie with white polka dots. The first thing that comes to my mind when I think of the fabric for that tie is Minnie Mouse, which is not exactly what I'd like for a tie (and probably not what other people think of). When I found this great crimson red with white dot cotton print I was thrilled. The red is darker, making it a little more sophisticated, and the dots are small (about 1/8" across), creating a little subtler version of a red tie with white dots. 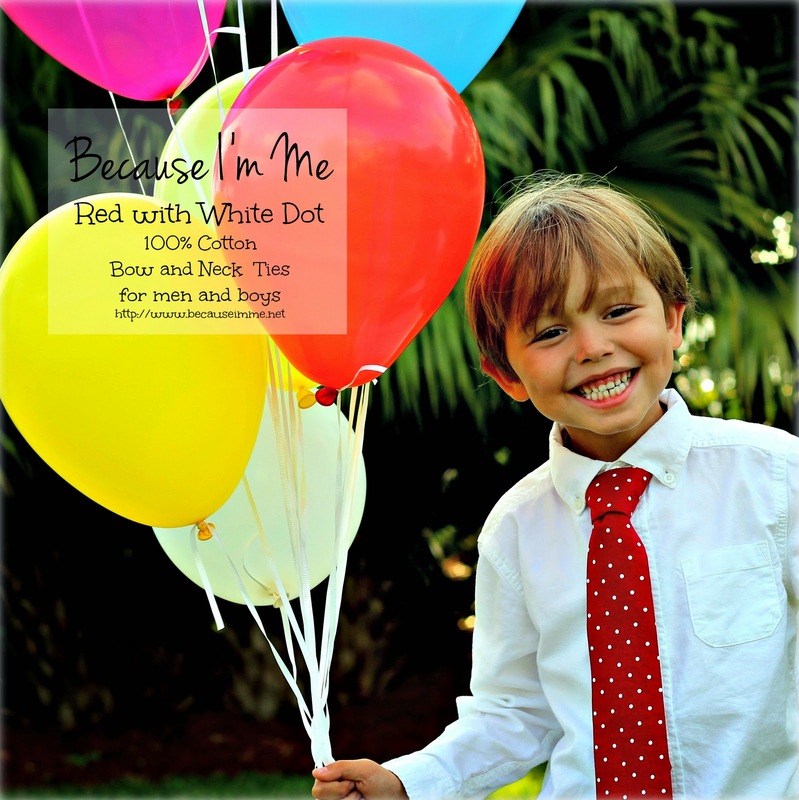 The tie is available as a bow tie or neck tie, for both men and boys.